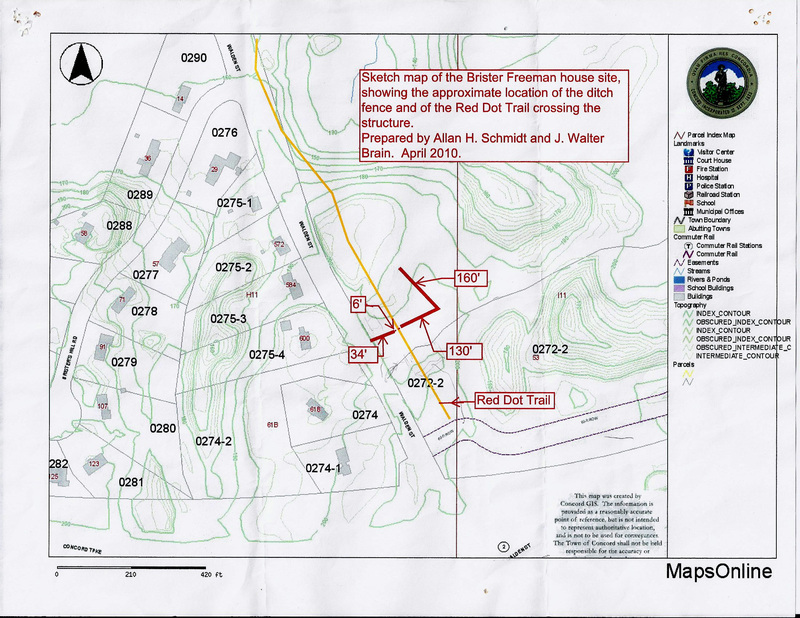 Sketch map of the Brister Freeman house site, showing the approximate location of the ditch fence and of the Red Dot Trail crossing the structure. Prepared by Allan H. Schmidt and J. Walter Brain. April 2010.